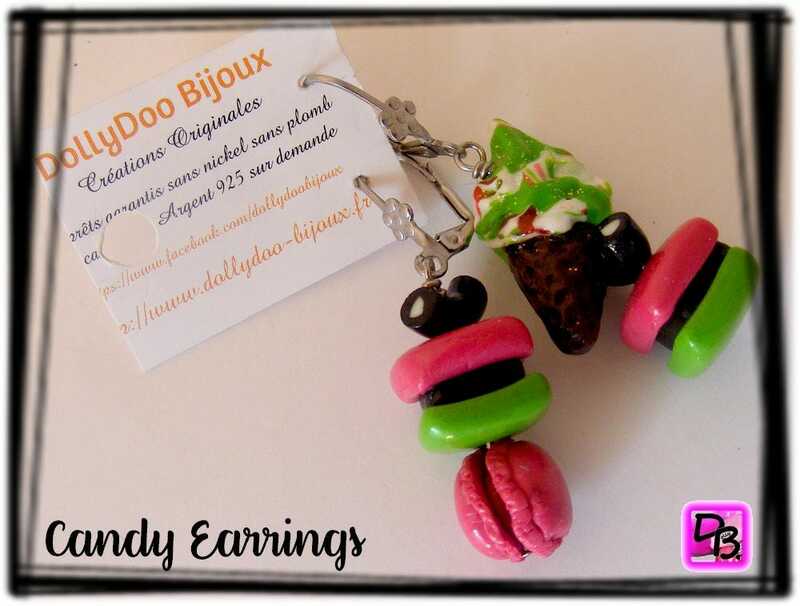 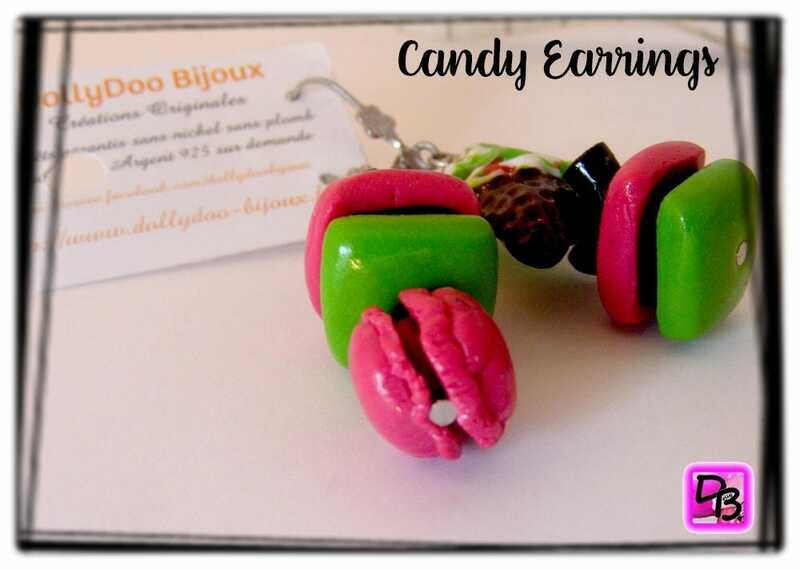 Famous English candy, a macarons and an ice cream cone reproduced polymer clay earrings. 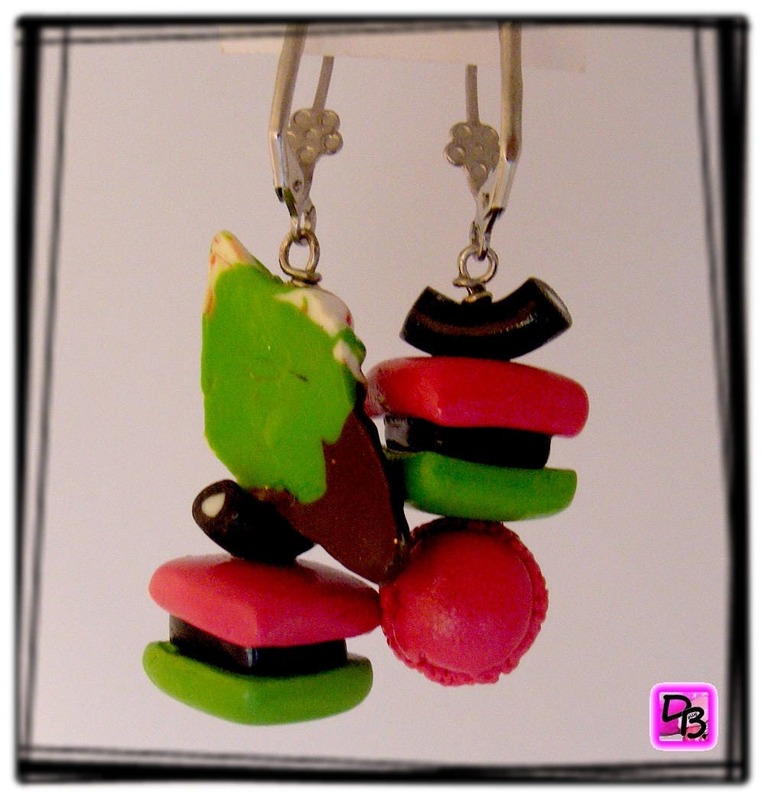 Too greedy these little candy kabob, they are to eat! 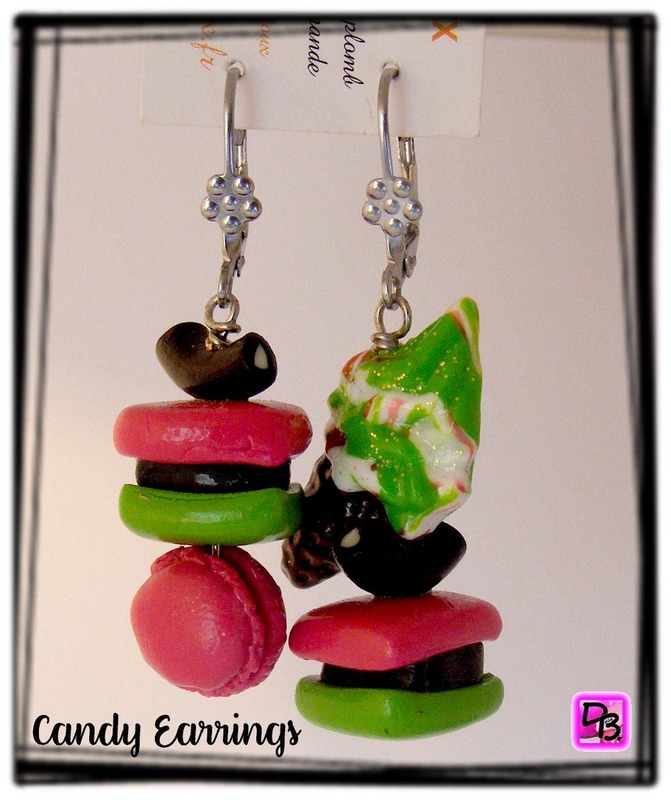 The earrings are mounted on stainless steel lever backs. 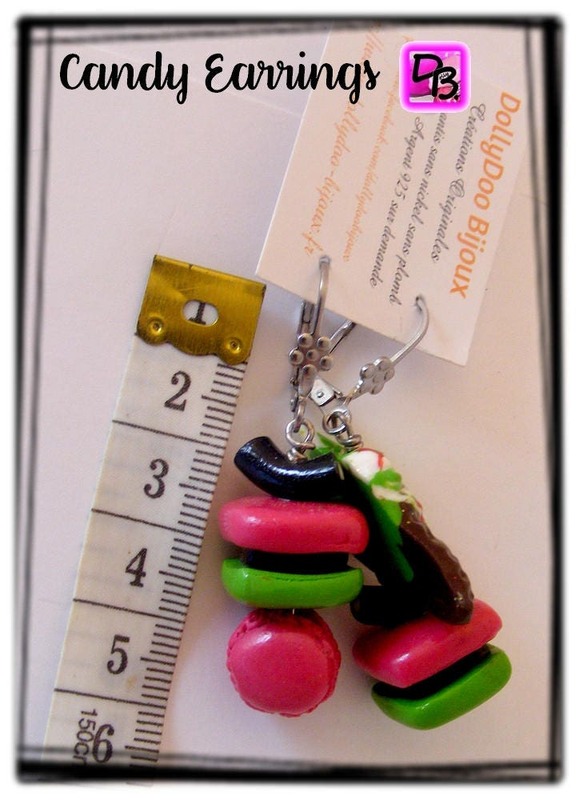 Possibility of mounting clips or silver sleepers 925 on option when purchasing.